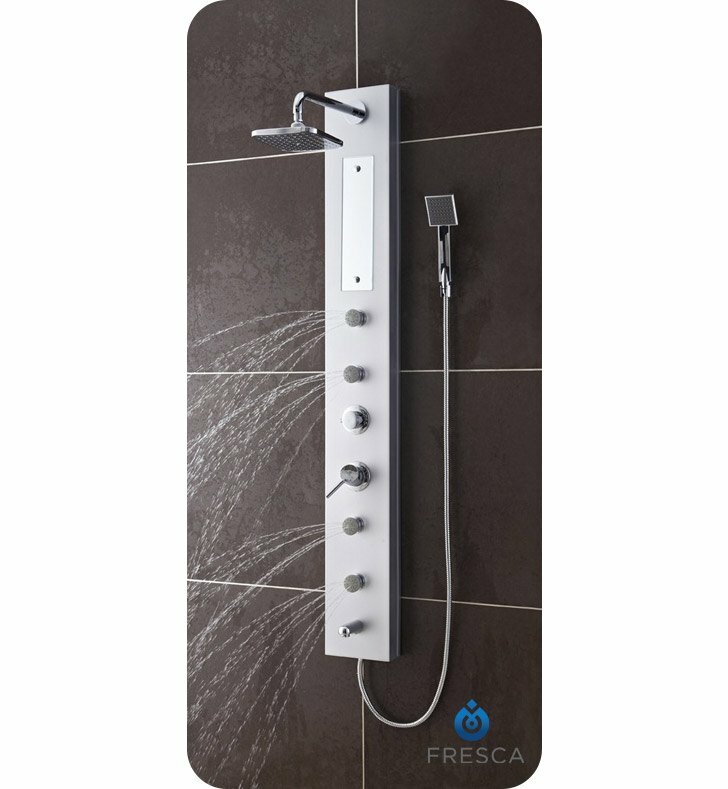 Luxuriate in the soothing spray of the Fresca Salerna Shower Massage Panel, model # FSP8004SL. 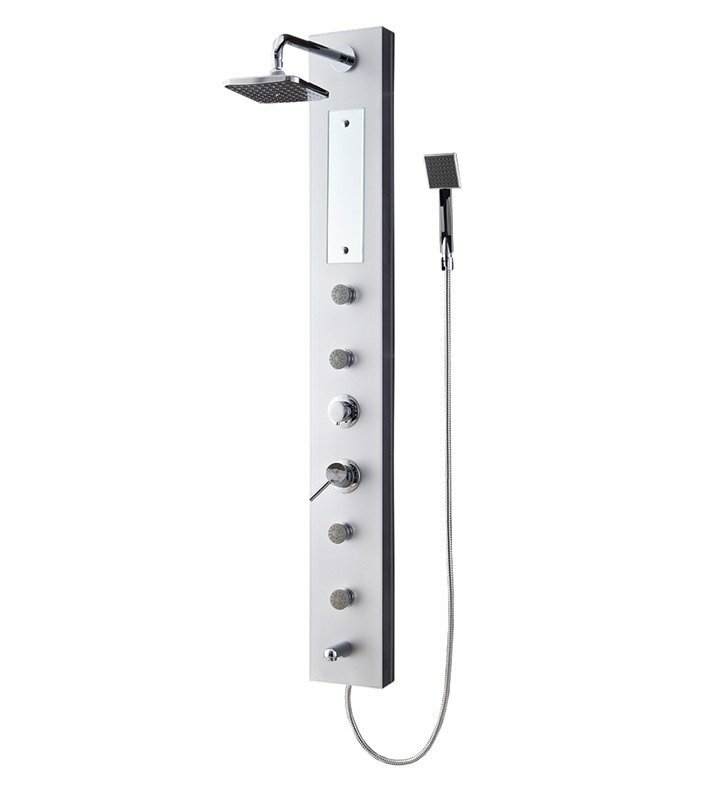 With a 7" rainfall shower head, a handheld spray attachment and four adjustable massaging water jets, this H 59" x W 6" x D 16" bathroom shower panel is designed to pamper your body. 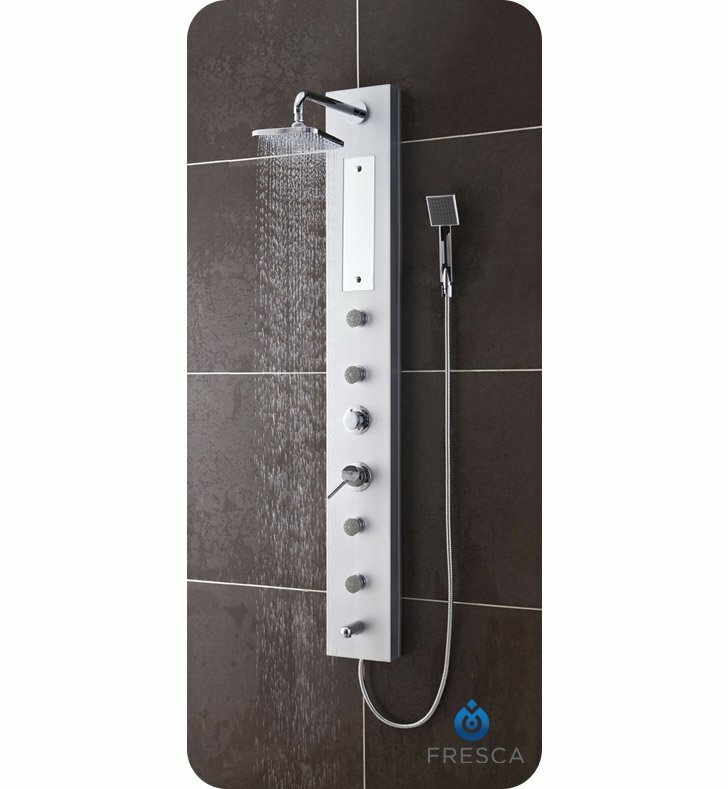 Master controls let you set the water pressure and temperature just the way you like it. A tub-filling spout at the bottom gives you the option of a bath. An attractive silver PVC finish and inset mirror brighten your shower's decor. Dimensions: H 59" x W 6" x D 16"